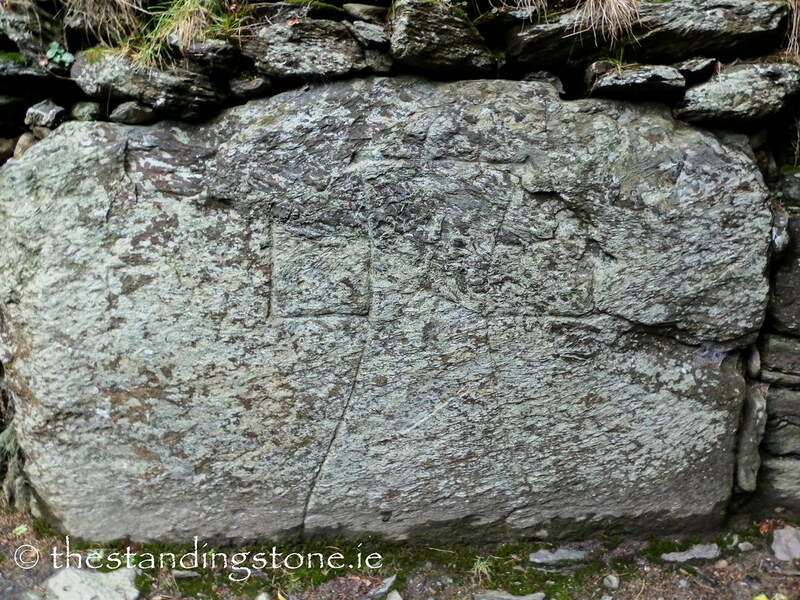 The Standing Stone: The Gateway, Glendalough, Co. Wicklow. 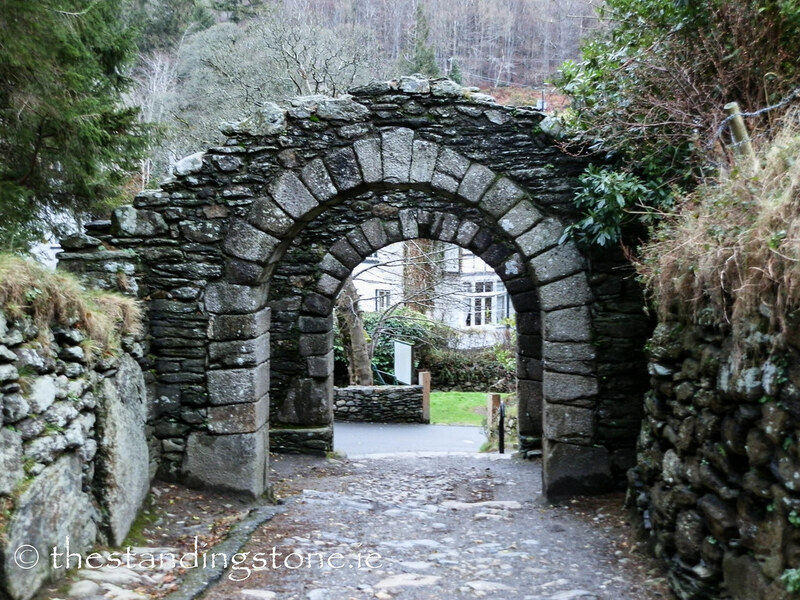 The Gateway, Glendalough, Co. Wicklow. Location – Part of the main cluster of sites at Glendalough. 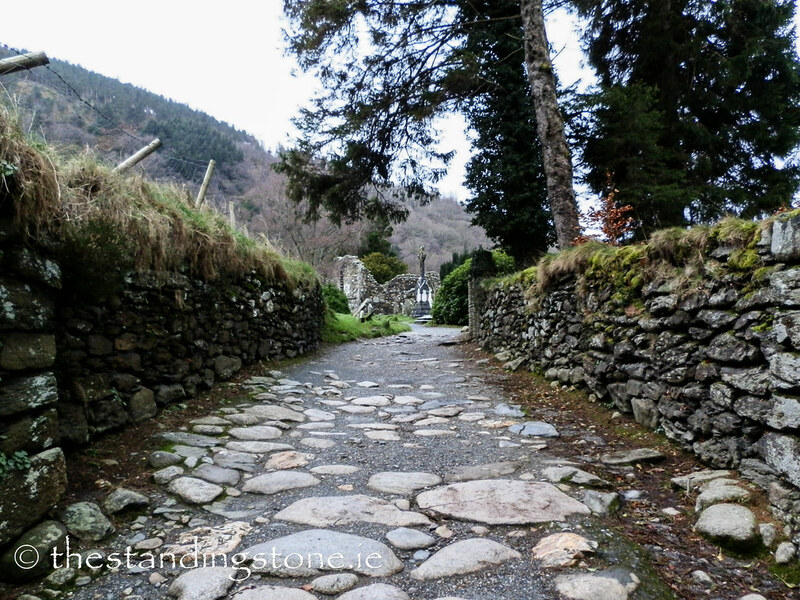 As with all the sites at Glendalough I recommend that you park at the visitor’s centre and walk. This is easy to spot as it is on the roadside. 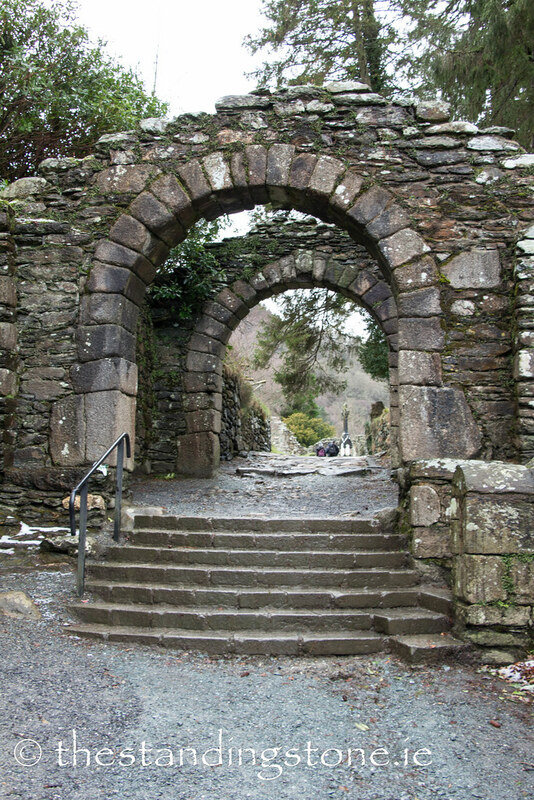 Description and History – The monastic city of Glandalough would have originally been enclosed by a large wall and this gateway was the entrance. 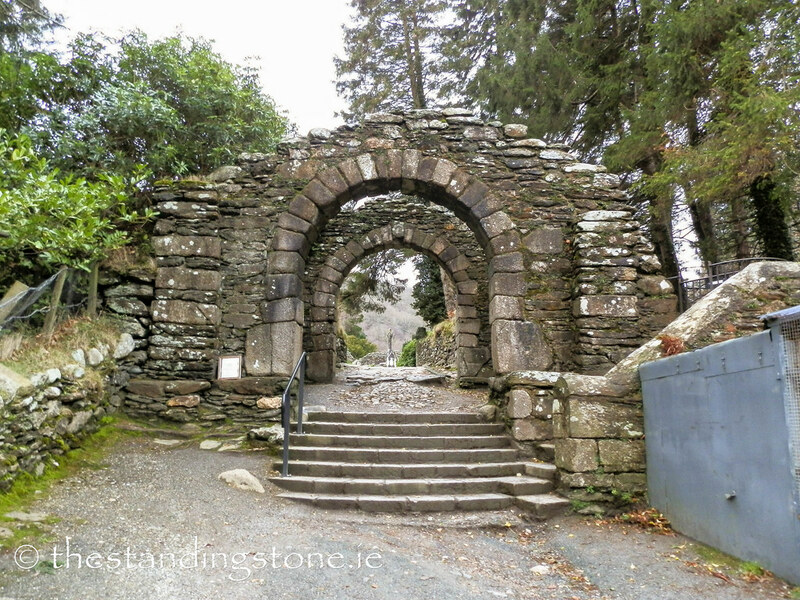 This site is unique in Ireland as it is the only remaining ecclesiastical gateway in existence. It was originally a two-storey structure. The upper floor was where the gatekeeper would have lived. All that remains are two arches which all visitors to the site would have had to pass through. 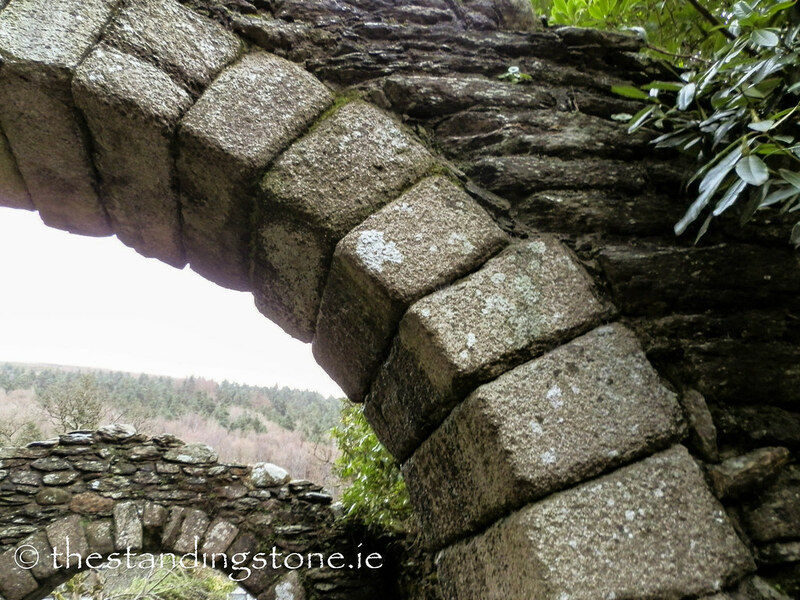 Just inside the arch is a large granite stone with a cross carved into it. This is a sanctum marker or a sanctuary stone, marking the line of sanctuary around the site. Once crossed a person would have 90 days of sanctuary no matter the crime. The person could stay, and no-one could come to take the person. After 90 days the person would be ejected from the monastic city unless they took holy orders. Difficulty – This is easy to find to look at. I would recommend starting here as you then enter the complex as it was meant to be entered. The pathway into the Monastic City.